A Lovely Victorian Bread Board. 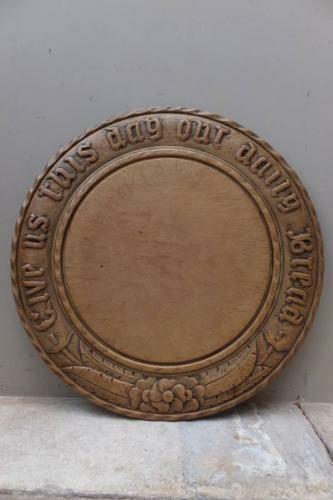 Carved nearly all the way round "GIVE US THIS DAY OUR DAILY BREAD" with flowers & leaves round the bottom. Good condition with a nice colour. Can be wrapped & posted first class for £8.